VitrA Minimax S Bath Taps£57.85 inc.VATRRP: £89.00 (Save 35%)Pair of standard sized hot and cold bath pillar taps, lovely quality and stunning value for money. 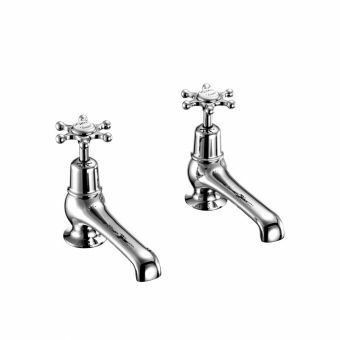 Perrin and Rowe Traditional Pair of Bath Pillar Taps From £259.68 inc.VATRRP: £324.60 (Save 20%)Hot and cold taps with a choice of handle in either a Lever style or a Perrin & Row branded Crosshead shape. There’s so much choice in interiors these days that even choosing new bath taps can cause a headache. 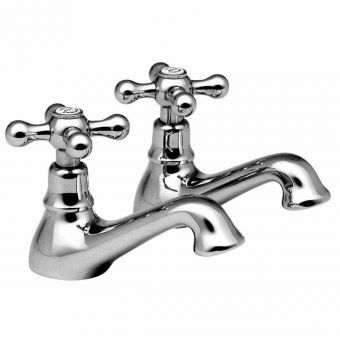 There’s so much to consider, from price and function to the metal finish you’d like and the style of your taps. All you really want to do is turn them on, let the bath fill up, and relax in a bubble bath! Which taps will be compatible with your choice of bath? Firstly, you need baths with two tap holes for pillar taps – for both the hot and cold feeds. Acrylic baths can have tap holes drilled in by any reputable plumber to suit your tap selection. However, do make sure whatever you order is suitable for the bath you’re ordering. Separate pillar taps won’t be suitable for a steel bath with no tap holes for example. You may need to have extra plumbing to fit your new taps. 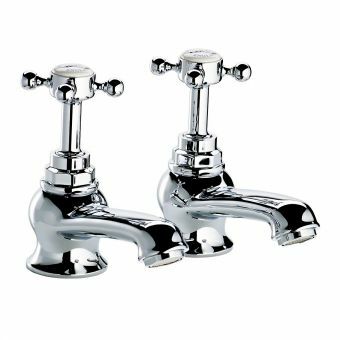 To find out all the details for each of them, you’ll need to click on the specifications link on the page for the taps of your choice on our website. That will show you a technical drawing with measurements. Please ensure those measurements are compatible with your bathroom plumbing. It’s worth discussing this with your plumber to see how this impacts on the cost of your project. You’ll also need to think about the look of the taps – is it right for the bath you’ve chosen? A sleek, modern bath won’t look right with Victorian taps, for example. It’s important to budget for your bath taps when you buy the other items for your bathroom. They shouldn’t be an after-thought – they will make or break the look of your room. It’s a good idea to do your research online before you go into a store, and cost out the potential combinations for taps and baths you’d like in your dream bathroom. We have options to suit every pocket. 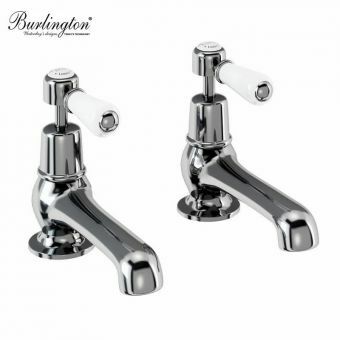 For those on a budget – Burlington’s Stafford bath taps are affordable, stylish, and ideal for renovation projects which have to watch the pennies and rental properties. Made from brass and coated in chrome, they’re easy on your bank account. 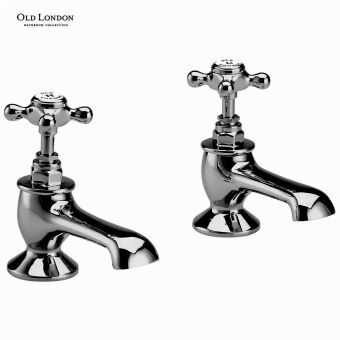 Old London’s Victorian chrome bath taps come in crosshead or lever options. They have a flowing design and have ceramic insets to give them an authentically historic feel. They’re great for renovations of Victorian homes. 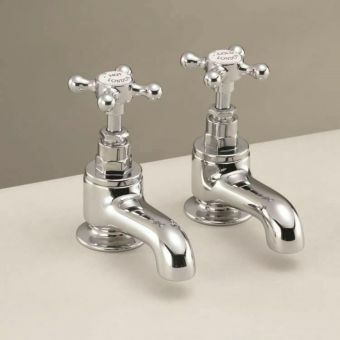 Old London’s Edwardian chrome taps are perfect for a traditional bath, and a great option for Edwardian rental properties, hotels and guests houses. They’re also suitable for homes with low water pressure. 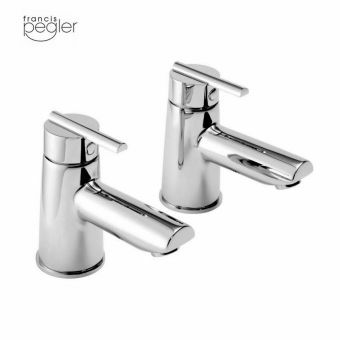 The Francis Pegler Pulsar taps are stylish and chrome and won’t break the bank. 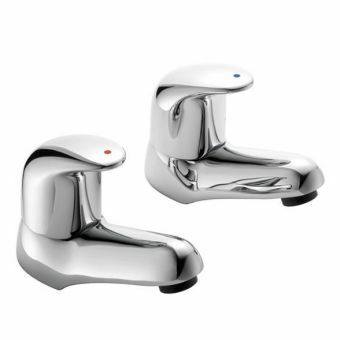 Pegler’s chrome Signia taps are also a good option to keep down costs. 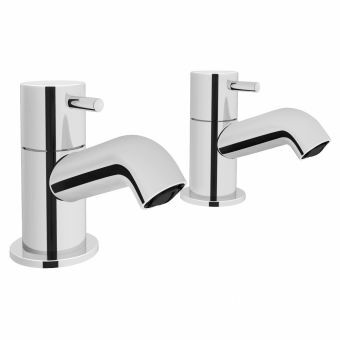 For those who are looking in the mid-range - Vado’s Kensington bath taps come in chrome and black handles, chrome and white handles, gold and black handles, and gold and white handles. 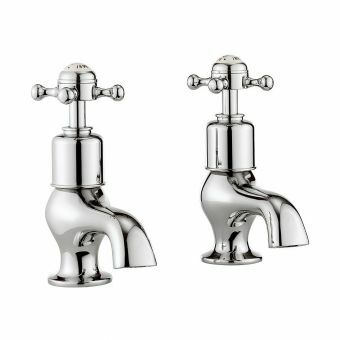 They’re sophisticated, inspired by classic Edwardian and Victorian bathroom designs, and they’re compatible with low-pressure plumbing. Origins Fusion has stylish contemporary zinc bath taps suitable for use in low water pressure areas. 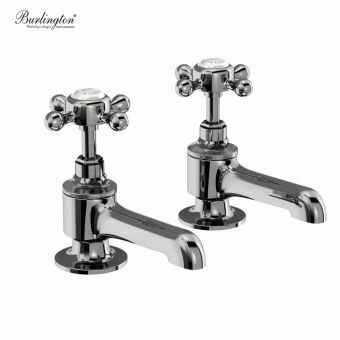 These taps are ideal for modern looks and conversions in former industrial buildings. 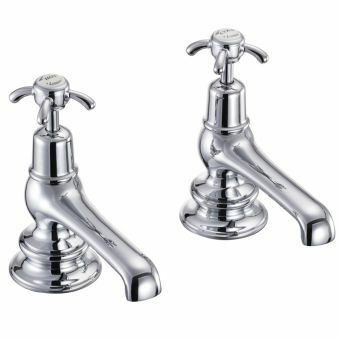 Burlington’s Anglesey taps are reasonably-priced and available with a quarter-turn or screw-down valve. Their authentic look is perfect for period properties. 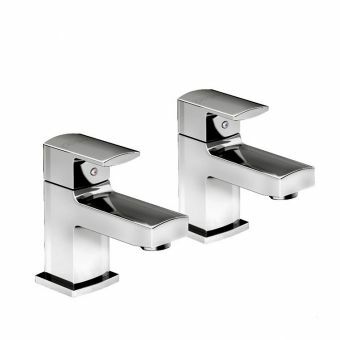 Armitage Shanks is a famous name in the commercial bathroom world, and its durable Alterna Quadrant taps with a lever handle are Seventies chic. They have the classic red and blue discs for hot and cold feeds, and are available in chrome. They're durable and attractive. 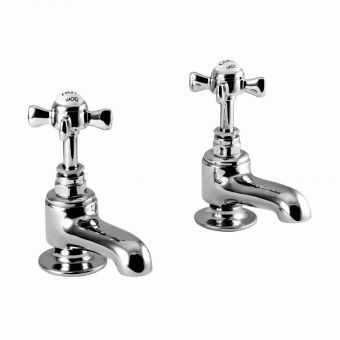 For those with more to spend – Imperial’s Regent taps come in chrome, nickel and gold finishes. Their Edwardian style complements period features in your home. They're also a very practical option - they're hard-wearing and come with a five-year guarantee against manufacturing defects. 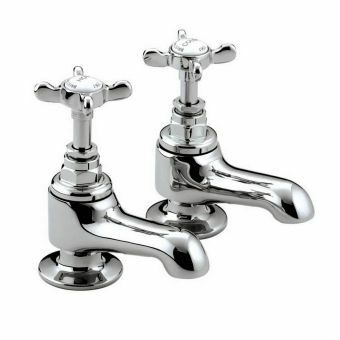 St James’ traditional chrome bath taps in chrome have a designer influence. They’re inlaid with ceramic discs, and come with a choice of three handles, including a lever handle. 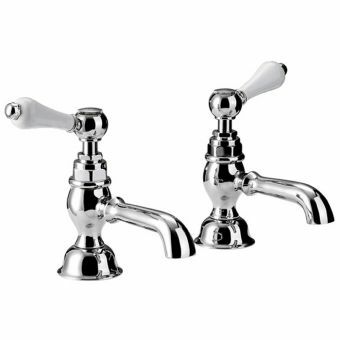 Period-style lettering is used to create the hot and cold discs, and these taps will match most traditional bath tubs. 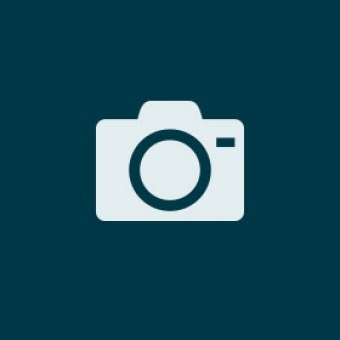 What’s your look – and which taps would suit it? 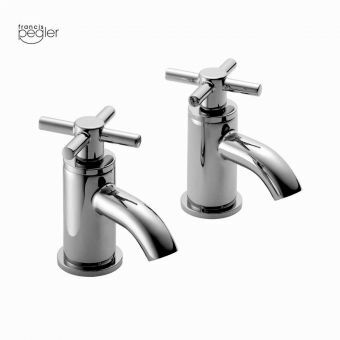 Your brassware needs to complement the overall look of your bathroom. What sort of scheme of you have? Some people prefer a traditional look inspired by the past and want to restore their homes to something like they might have been 100 years ago. For others, inspiration comes from a futuristic feel with clean lines and sharp edges or a nod back to the sinuous styles of the 1960s. We have something which will suit every project and every taste. Traditional – Perfect for older homes, a Victorian or Edwardian style helps restore a property to its former glory. 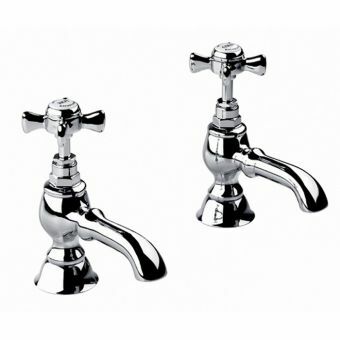 Imperial Victorian taps come in chrome, gold, and nickel. They have a timeless elegance and are cross-handled, so you get precision. 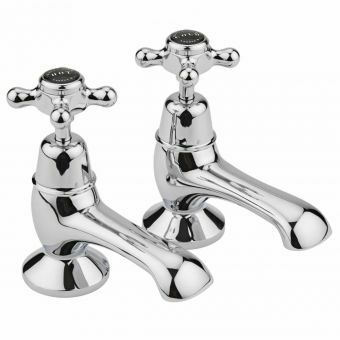 Silverdale has Victorian, traditional taps in chrome and incalux. The bases are curved, and their interiors are bronze to help prevent corrosion. Their shapes are also compact, which is ideal in smaller bathrooms. 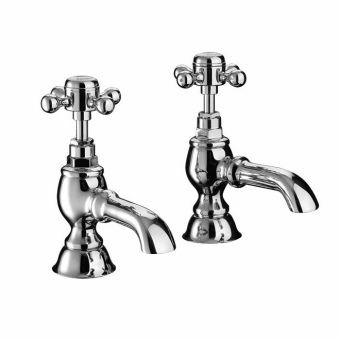 Take a look at the Burlington Claremont Regent taps for baths, which have a five-inch spout and either a screw-down valve or a valve with a quarter turn. They come in chrome and have a 10-year manufacturer’s guarantee. 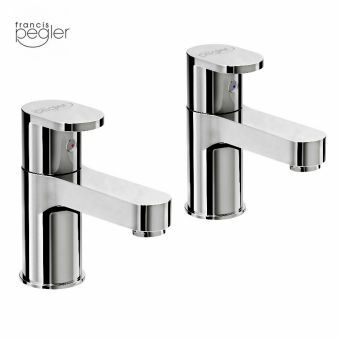 Contemporary – Ideal bath taps for any home which has a modern look, whether that’s giving an older property a much-needed update, fitting out a new home, or getting the industrial, loft feel. 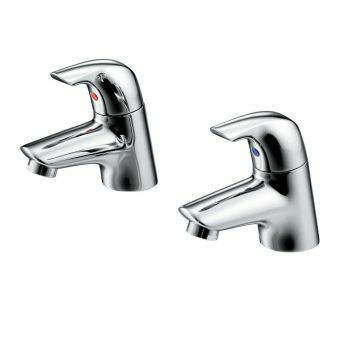 These Ideal Standard Seraplan SL taps have removable nozzles and brass back nuts for easy cleaning and maintenance, and the curved lever handles give them a stylish, modern feel. 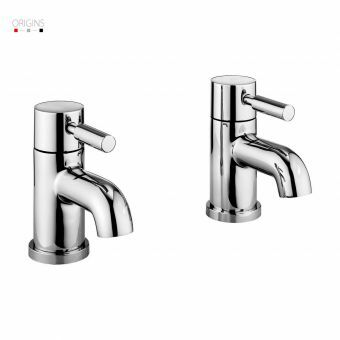 Pegla Signia’s taps are positively curvaceous! They come in tactile chrome, and despite their flowing look they’re a very functional option. They’re ideal for low pressure systems and come with a 10-year manufacturer’s guarantee. 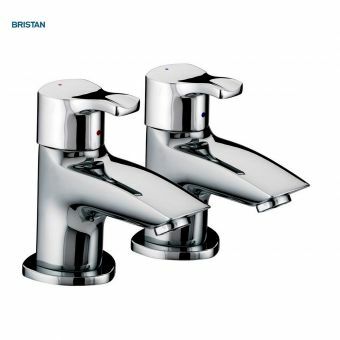 These Bristan Pivot chrome taps are cool and space-aged. They bring a modern look and work with most modern baths. 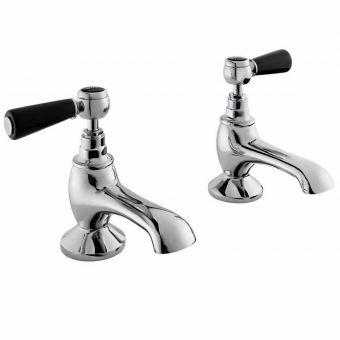 The taps have a smooth action and have a Continental edge. Which metal finish should you choose? This depends on the sort of scheme you have in your bathroom – whether it’s a traditional look or ultra-modern contemporary design. Antique gold – Ideal for traditional schemes in Victorian and Edwardian homes, a little touch of luxury to set off the simple lines of Victorian-inspired baths and sinks. 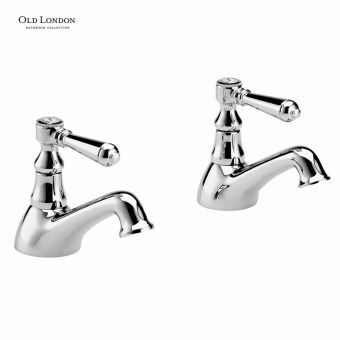 These Bristan 1901 bath taps in gold are perfect for traditional schemes. Chrome – A perennial favourite. 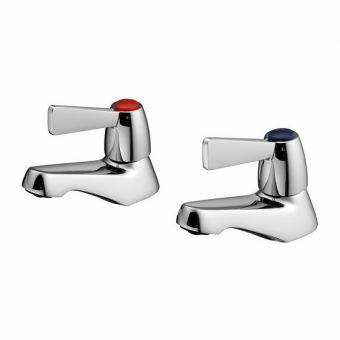 Chrome-plated taps are perfect in modernist schemes with sharp edges and clean lines. 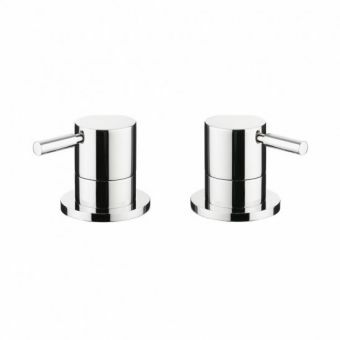 It was beloved of the Art Deco movement, and brings a stylish edge to your bathroom. 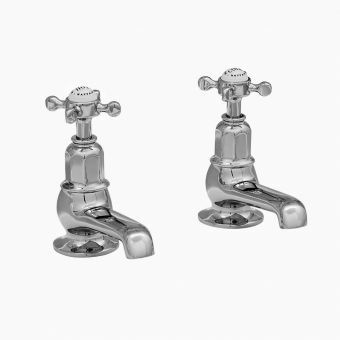 Alongside the traditional crosshead bath taps, lever taps are extremely useful for those who have problems gripping – for example, children and people with arthritis or paralysis in their hands. So what should you choose? 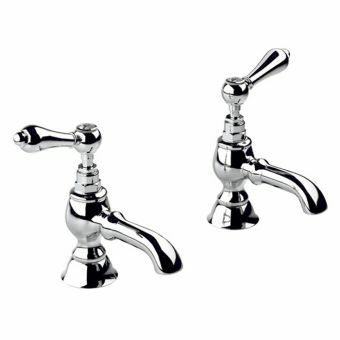 Traditional, crosshead taps – They work by a turning the crosshead on top, and use internal washers or ceramic cartridges to help control the water. They give you excellent control over water flow, but washers do perish and may need to be changed and some cartridges might need to be replaced. For those with problems in gripping, the necessary force to close a crosshead tap might be a problem. 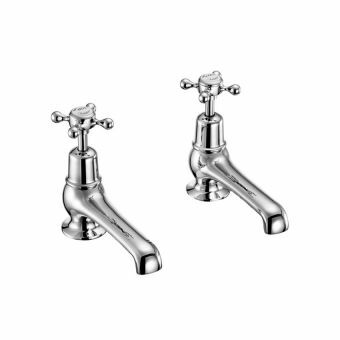 Traditional taps include Vado Wentworth chrome taps in a period style. 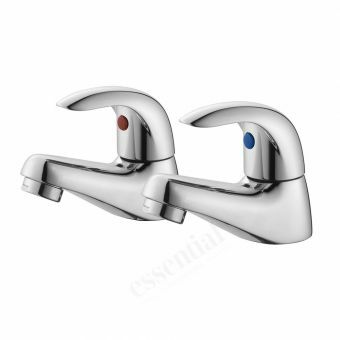 Lever taps – They work using an internal cartridge to control the flow of water, and no force is necessary to close the lever and stop the water flow. 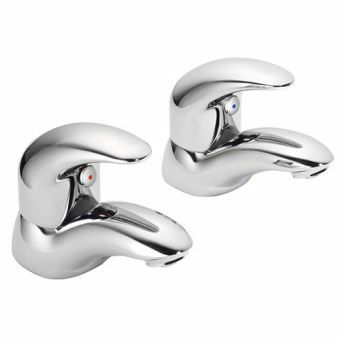 They give you less precise control than the crosshead taps, but are far better for those with grip problems. Cartridges might need to be replaced occasionally. Lever taps are ideal for hotels and guest houses who want to cater for all sorts of customers. If you’re trying to future-proof your home, it might be worth considering lever taps. After all, we’re all growing older! Lever taps include Vado’s Ion bath taps in super-sleek chrome and a contemporary style – perfect for modern interiors. 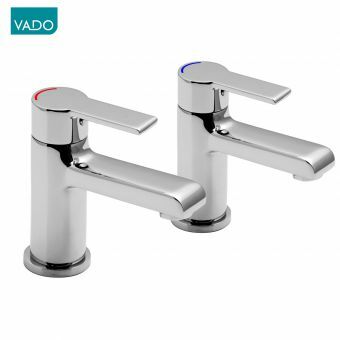 [Vado Ion Bath Taps] Vado also supplies eco-friendly technology to help reduce the cost of running these bath taps. UK Bathrooms will help you make the best choice for your home Our experts are ready to help you make the key decisions about how your new bathroom will look, and which taps will fit that scheme perfectly. We pride ourselves on our affordable prices and excellent customer service. Helping you to achieve your dream bathroom without breaking the bank is our passion. We have friendly, experienced staff waiting to have a no-obligation chat with you about what you need – call us today on 01765 694 720.